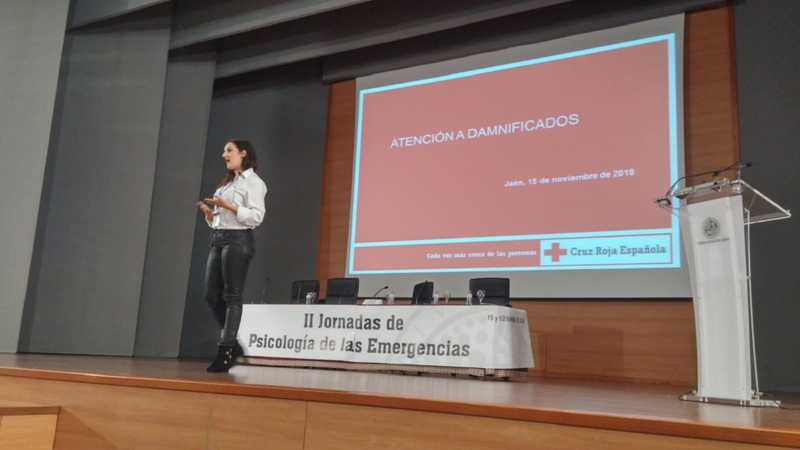 16/11/2018.- The University of Jaén (UJA) hosted the 2nd Workshops on Emergency Psychology, in which the importance of psychological support when faced with traumatic and extreme events was explored. The initiative, having now celebrated its second edition, was organized by the research group “Evaluación e Intervención Psicológica” (Psychological Assessment and Intervention), a member of the PROEM network, and in collaboration with the Department of Psychology and the Faculty of Humanities and Education Sciences at the UJA. 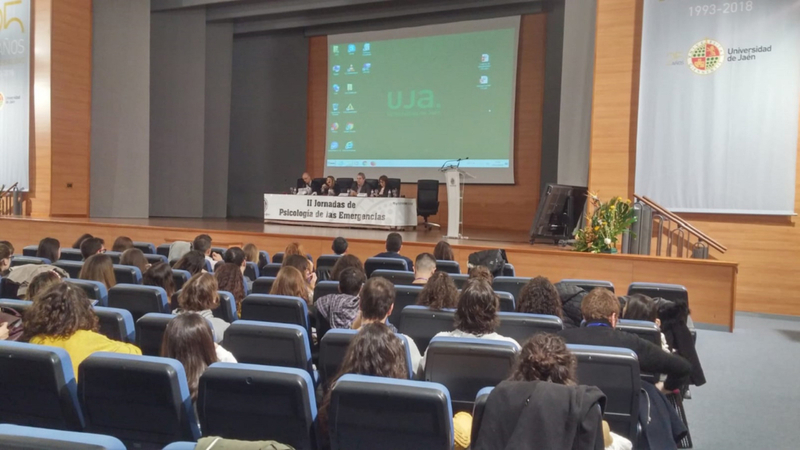 The workshops, coordinated by Lourdes Espinosa and María del Mar Díaz, lecturers and researchers from the UJA’s Department of Psychology, were attended by 220 students. This activity falls within a context in which emergency psychology has gained considerable importance as a discipline owing to the many events that have occurred worldwide in recent decades. 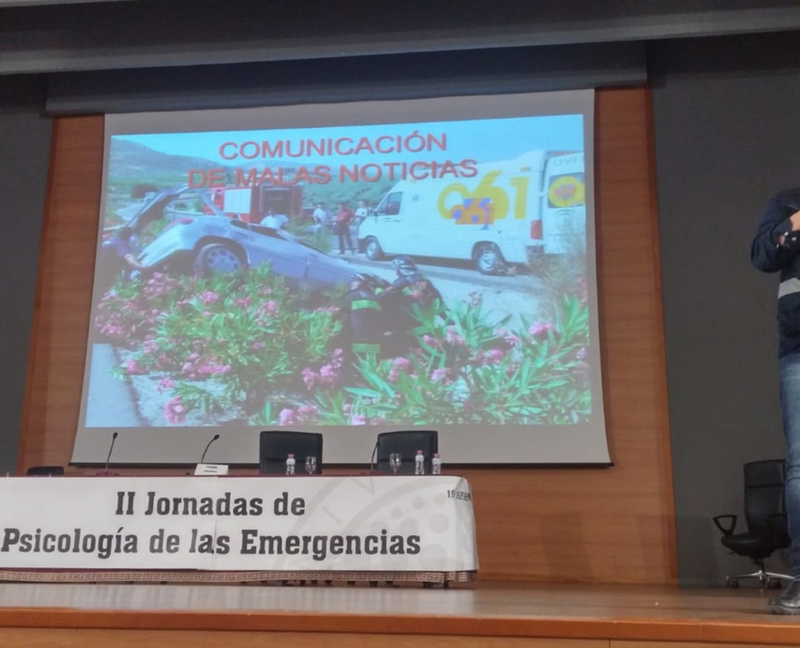 “In these situations, the emergency psychologist plays a key role in effectively managing direct and indirect victims as well as in minimizing the appearance of problems resulting from a traumatic event”, explains María del Mar Díaz. Despite the growing importance of psychology applied to emergencies, today it is still a little-known branch of psychology. “This lack of knowledge, especially of its practical aspects, warrants the development of training initiatives like this one which enables university students to learn more about this branch of psychology”, adds Lourdes Espinosa. During the workshops, an emergency simulation was staged, with the deployment of resources provided by the Red Cross in order to experience first-hand the important work carried out in these types of situations, not only from a coordinated and organizational point of view, but also through seeing the care given to those affected by the different intervening professionals, including psychologists. A number of topics were also discussed, for example: emergency management, the chain of affected individuals, psychological first aid, communicating bad news, the coordination of psychological intervention teams, and psychological intervention from the perspective of different state security forces and the accounts of intervening parties. 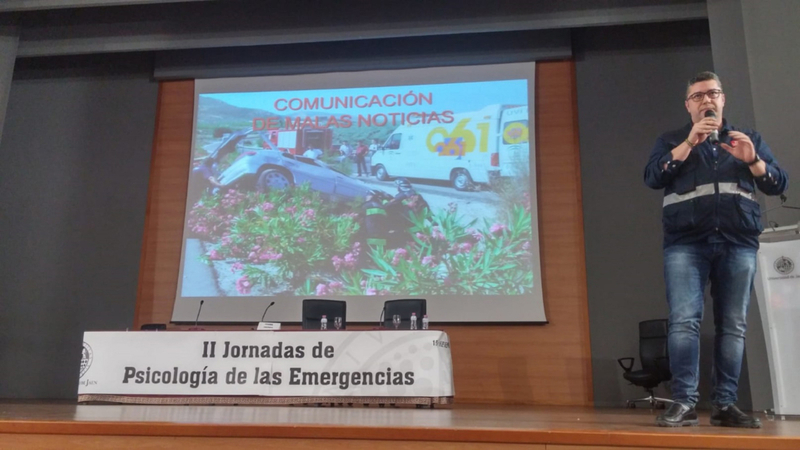 First-class speakers participated in the initiative, not only from the field of psychology via the Department of Psychological Intervention in Disasters and Emergencies attached to the Official School of Psychology of Eastern Andalusia in Jaén and Almería, but also professionals working in these types of situations for the 112 emergency service of Jaén, the Military Emergencies Unit, the Civil Guard, and for the Department of Health, Assistance and Emergencies of the Jaén Red Cross. The assessment made of the workshops “was positive because the objectives of disseminating the importance of onsite psychological support when faced with a traumatic event were met, and students were trained in providing comprehensive and multidisciplinary assistance to primary and secondary victims of events classified as emergencies, disasters and catastrophes, such as hit-and-runs, completed suicides, attacks and natural disasters, among others”, concludes Lourdes Espinosa.